Pittsburgh boxers Billy "The Kid" McDonnen (Robert De Niro) and Henry "Razor" Sharp (Sylvester Stallone) shared a fierce rivalry back in the 1980s. Each had scored a victory in two matches, but on the eve of their decisive third bout, Henry suddenly announced his retirement, effectively ending both boxers' careers. Thirty years later, boxing promoter Dante Slate Jr. (Kevin Hart) makes Billy and Henry an offer they can't refuse: Return to the ring and settle the score once and for all. 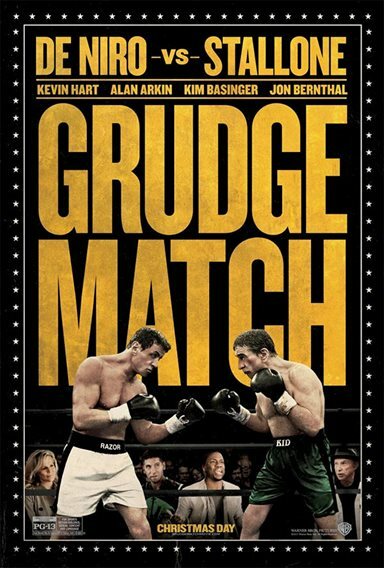 Download Grudge Match in Digital HD from the iTunes store. Grudge Match images are © Warner Bros.. All Rights Reserved.